← Q: How do you stay motivated to create new work? Posted on February 7, 2018, in An Artist's Life, Art in general, Inspiration, Mexico, Pearls from Artists, Quotes and tagged "Joseph Albers in Mexico", change, create, daring, feeling, Joseph Albers, Lauren Hinkson, Mexico, modern, Museo de Antropología de Xalapa, real art, revival, seeing, tradition, virtue. Bookmark the permalink. 2 Comments. 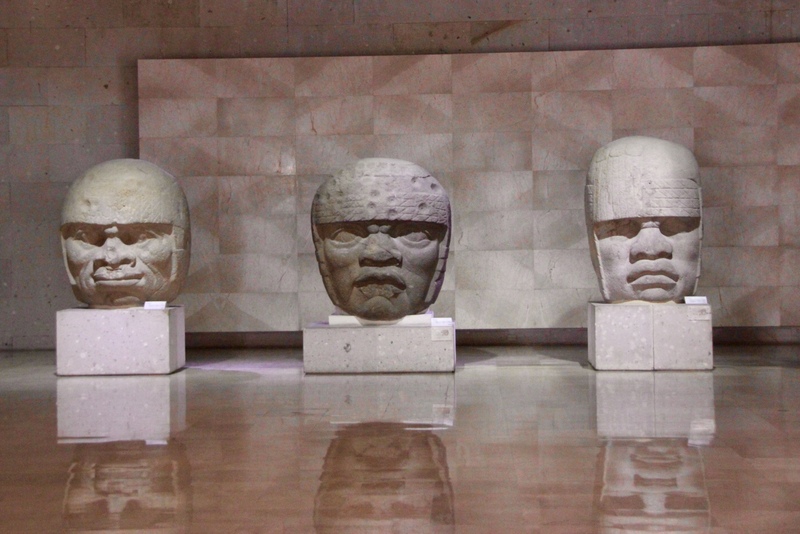 They are Olmec heads, from the earliest known Mexican civilization.